Two-Story, Bungalow or Ranch: The Best Choice for your Lifestyle - Canterbury Homes Inc. In the beginning of your custom home build, you will make a few essential decisions. Even before you choose your lot, have you thought about which type of home would best suit your needs? There are many layout plans: bi-levels, walkout bungalows, split levels, multi-level, etc., etc. ; however, for many of our clients, it comes down to a choice between a bungalow or two-story home. Do you prefer the look of a long, low bungalow? A bungalow is a single detached home. The basement will have the same square footage as the main level. A variation is the raised bungalow, which is built several feet above grade to allow for large windows (more natural light) in the basement. Another variation is the walkout bungalow. Walkouts also have a single level with a basement; however, they are built on lots with steep grades. This lets in even more natural light as well as giving access to the outdoors from the lower level. A very popular term on HGTV lately is the “ranch-style home.” It is a confusing term often used interchangeably with bungalow, but this is not the case. A “ranch-style home” is also a bungalow. The difference is in how the indoor space is divided. The private spaces, like bedrooms and the main bathroom, are located on one side of the house. Public spaces, like the living room, kitchen, dining room, and laundry room, are on the other. Two-Story homes give you three full levels of living space if you choose to develop the basement. In any style of home, for Canterbury Homes Inc. clients, the main living areas are located above ground. We always develop basements that clients use for entertainment (theatre room, games room), guest rooms, storage, furnace rooms, and more. 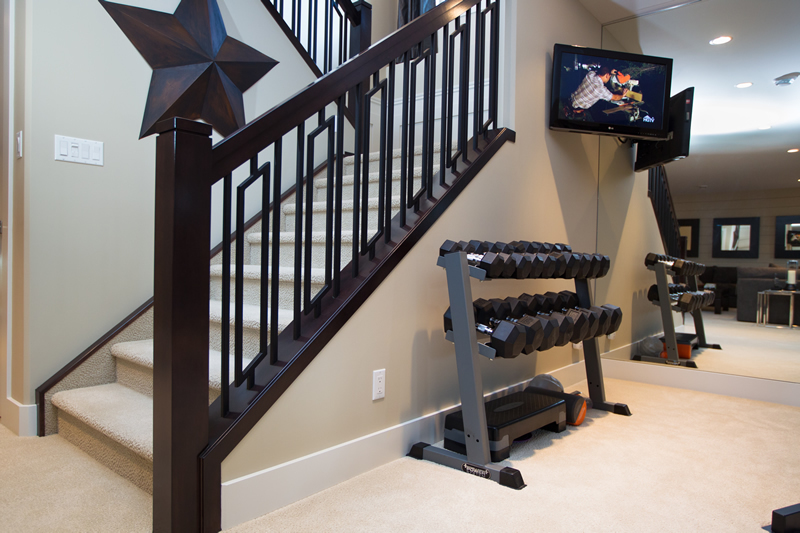 A basement workout room is another way to utilize the lower level. It does not have to be dark: the mirrored wall and 9 ft ceilings make the space bright and airy. Personal preference: Are you drawn to a home with many levels? Or do you prefer the look and function of the long, low bungalow? Lot Size: The size of your lot will determine how large your custom home can be. For residents of Strathcona County, “The maximum total site coverage of all buildings on the property is 40%” (See more building parameters for Strathcona County homes here). If you are looking for a large, expansive yard or plan to have additions, (such as garages, workshops, guest houses, storage sheds, greenhouses, etc.) you may choose to build up rather than out. It is also important to check your local municipality to ensure outbuildings are permitted. Privacy and noise concerns: Would you prefer to have bedrooms up and away from the general living areas? Age of occupants: Thinking long-term, is the home going to be accessible and safe for you when you’re older? Are there small children or those with mobility issues to consider? Styles of the neighbouring homes: In most new neighbourhoods, there are restrictions on home size, exterior material choices etc. These guidelines ensure the continuity of your neighbourhood and usually adds value to the overall subdivision. When building your new home, you have many chances to create a house that is stylish and unique that caters to your lifestyle. Building a bungalow among two-stories could be a feature that sets your home apart while still adhering to guidelines. Your list of pros and cons may differ from these. It will be your personal preferences that will determine whether these factors are relevant to you. 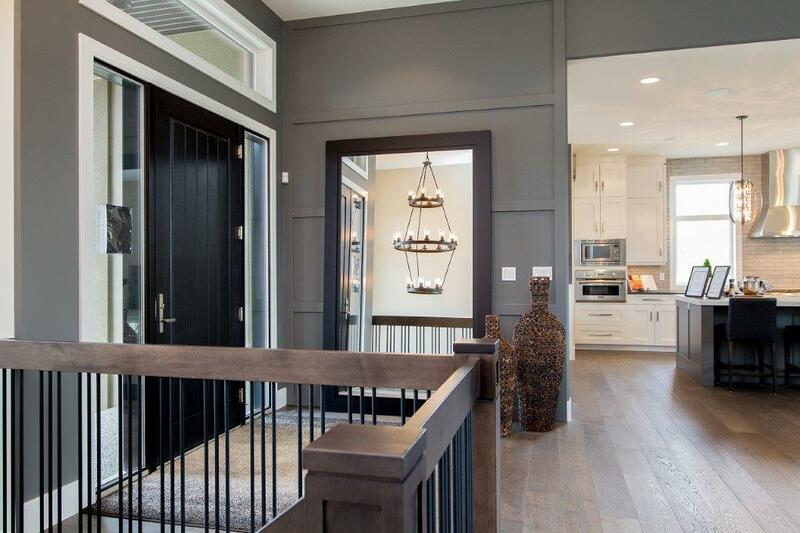 An open floor plan can give you simplicity of access from one space to another. The open space gives a sense of grandeur and allows family members to be within eye shot of one another. The open concept great room with lofty ceilings is flooded with natural light. With their lower profile, bungalows are easier to maintain. Washing windows, cleaning gutters, clearing rooftop snow and debris, and washing outdoor walls are all low-risk, low-effort activities. Fewer stairs are not simply a preference of the elderly. Imagine walking up and down flights of stairs every day for laundry, to answer the door, let the pets out, have a snack, etc. Can be more expensive because of the lot size and the larger foundation and roof. Sound carries in an open floor plan. If the square footage of a bungalow and two-story are the same size, the two-story will have a smaller roof, meaning less roof to maintain. A second floor can offer more expansive views. Take advantage of this by building an upper deck. Less of the home is exposed to the elements and could result in lower heating and cooling costs.However, insulation, weather protection, and other materials used when building your home will affect utilities costs and individual results will vary. A stairway can be a beautiful feature of your home. Highlight the design elements of your staircase with an eye-catching chandelier. Maximum height of residences in Edmonton and Sherwood Park is 32.8 feet, which is something to consider if you want higher-than-average ceilings. Stairways can be dangerous, inconvenient, and they use up valuable living space. What Would you Prefer? Bungalow or Two-Story? At the end of the day, you are going to be happiest in the home that appeals to you the most, whether it has one story or two. You may change your mind once you sit down to design the layout. That’s all part of the exciting planning process. The next part is planning the layout of your home. 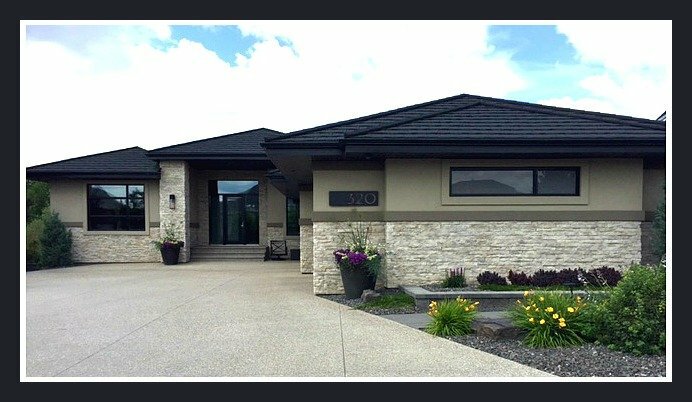 Read Layout – Custom Home Build: What Do I Need to Know? (Part 3) for help with this next custom home building task. In it, I show you an exercise that will help you get a rough idea of how to design your home’s layout. What type of home do you prefer? Let us know in the comments!